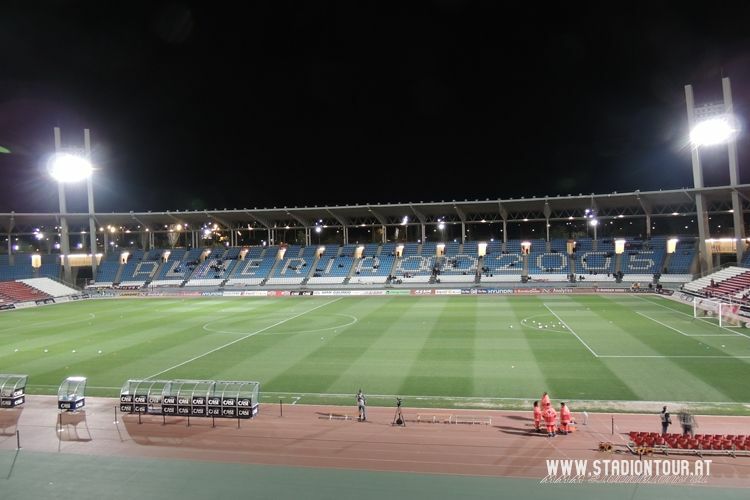 The stadium was built in 2004, ahead of the 2005 Mediterranean Games hosted by Almeria. 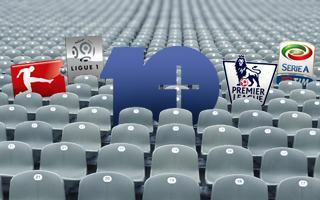 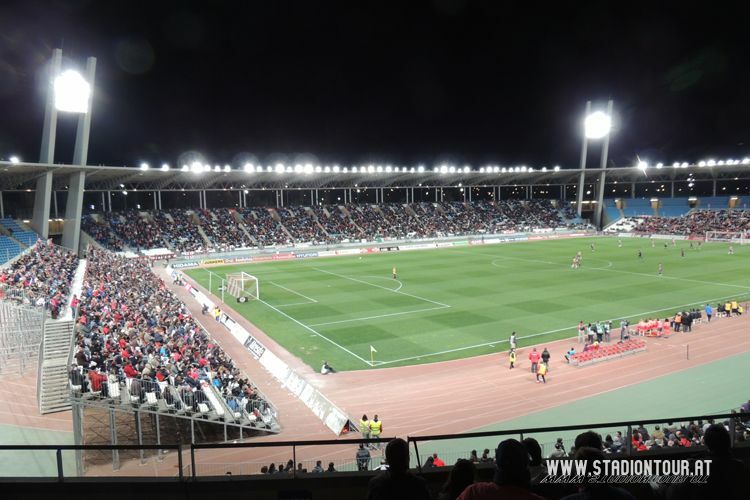 With initial capacity of 22,000 it was then taken over by UD Almeria, local football club, as their main ground. 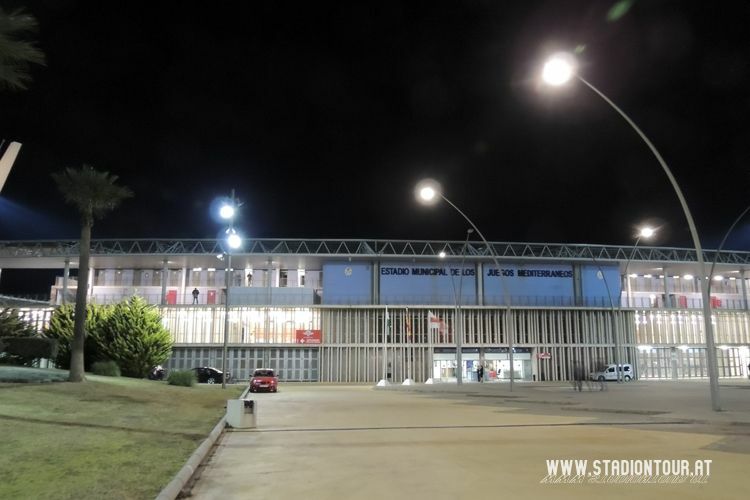 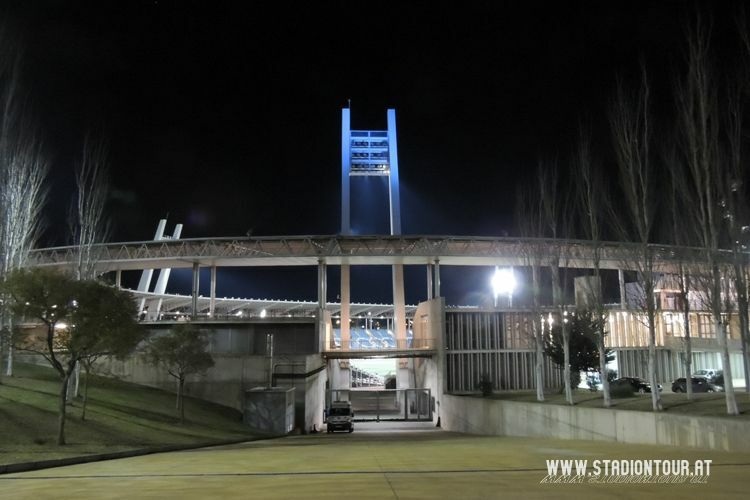 The city retained its ownership of it, though, having spent €21 million on the project. 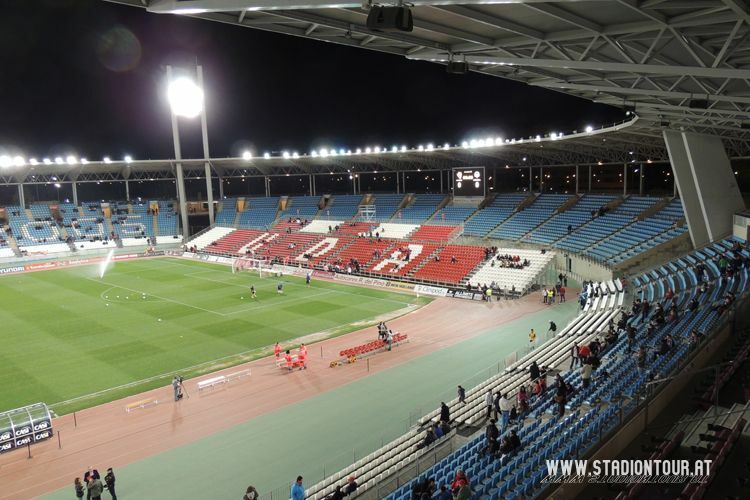 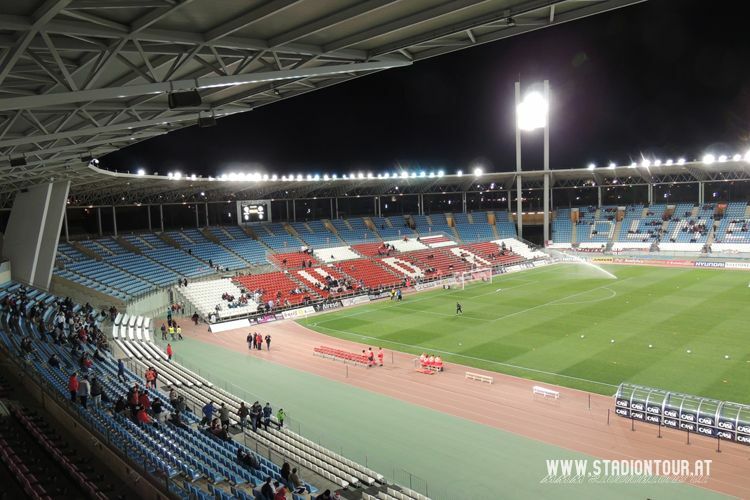 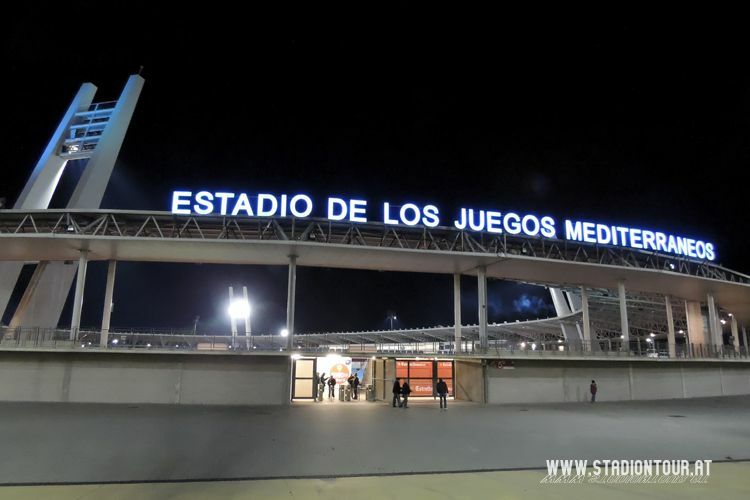 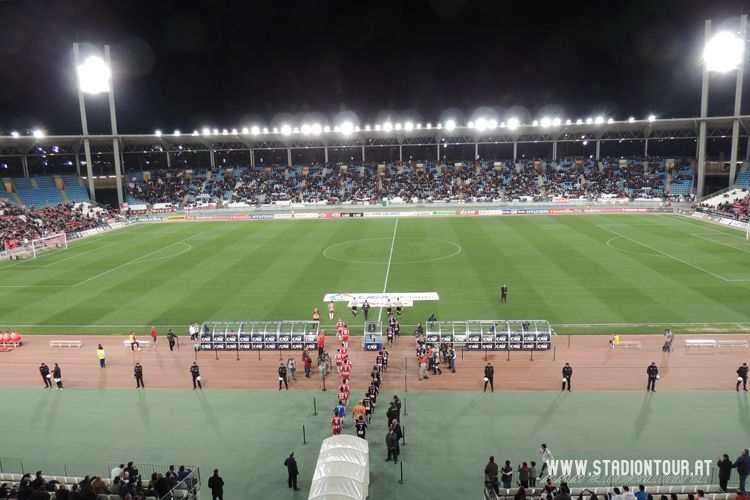 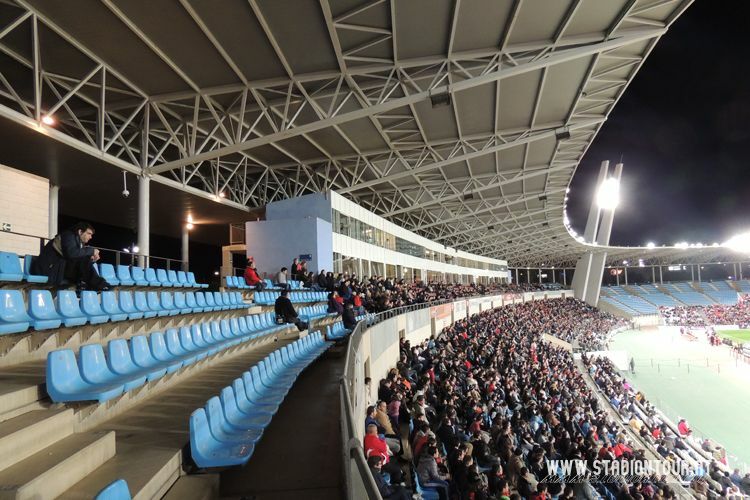 Due to the stadium being athletic, Almeria decided in mid-2012 to close the curved stands on both ends, placing temporary section on the running track instead. 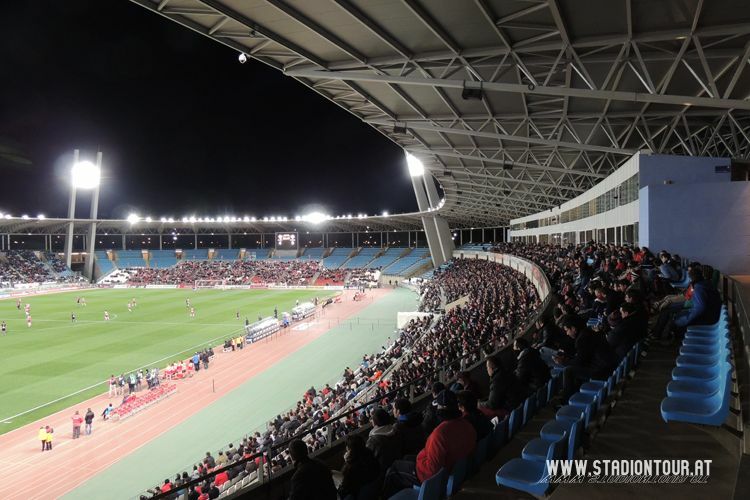 This decreased capacity to some 15,200.